Mini Golf is a fun activity for everyone young and old, and Gatlinburg and the surrounding area is home to some of the best mini golf courses in all of Tennessee. In fact, with a huge variety of fun-filled courses to choose from, Gatlinburg and the Great Smoky Mountains may be the mini golf capital of the U.S., if not the world! When you visit Gatlinburg for your Smoky Mountain getaway, you’ll find a number of courses offering 18, 36, or even more holes of putt-putt fun. However, since your time in our beautiful little corner of the world is likely limited, we’ve put together a list of the best Gatlinburg mini golf courses for your family to enjoy. Gatlin’s Smoky Mountain Fun is one of the most popular mini golf courses in all of Gatlinburg, and for good reason. This cute and fun Smoky Mountain destination offers up three great mini golf courses for the entire family to enjoy. For the history buffs out there, the Old Town Square Course features 18 holes that crisscross their way through fully restored historic Smoky Mountain cabins. With each hole, you’ll learn interesting bits of history or trivia about Gatlinburg. The holes are fun and challenging as well, so practice your trick shots! The Old Mountain Trail Course has a fun Great Smoky Mountains theme and makes wonderful use of the area’s natural landscaping and native trees. In addition to being even more challenging than the Old Town Square Course, when you play this 18-hole course you’ll learn all about the national park, European settlers, and the native Cherokee. The third course at Gatlin’s Smoky Mountain Fun is the fun-filled Black Light Golf Course. A great way to spend a rainy afternoon, this 18-hole indoor course features a fun black light environment and a variety of terrific ocean-themed decorations, including a pirate ship, mermaids, tropical fish, and more! Hillbilly Golf is a Gatlinburg favorite and one of the area’s most unique mini golf attractions. There are two 18-hole courses at Hillbilly Golf, both of which are located atop a mountain. To reach them, guests must travel up the mountain 300 feet by incline rail, so the fun begins before the first ball is even sunk. As you may have guessed from its name, Hillbilly Golf has an old-fashioned Smoky Mountain theme. The two courses are filled with outhouses, moonshine stills, tractors and other iconic items of Appalachian hillbilly culture. With its mountain-side location, the attraction’s courses make for a beautiful and unique mini golf experience. Hillbilly Golf is truly a one-of-a-kind mini golf attraction and a favorite for locals and visitors alike. Best of all, it was recently renovated, so it’s bigger and better than before! Another one of the area’s most popular mini golf attractions, Ripley’s Davy Crockett Mini Golf is a great destination for fun-filled putt-putt action. Here, you’ll find two 18-hole mini golf courses featuring fun sound effects, fun cartoon statues of bears and raccoons, and great hole designs offering the perfect level of difficulty. As you play, each hole reveals more of Davy Crockett’s incredible Smoky Mountain adventures. However, remember to focus when you reach the last hole. If you get a hole-in-one, you’ll win a free game to check out the other course. There’s an arcade on-site as well, so it’s the perfect place to spend a little time out of the rain, heat, or snow. Blindshot Barnaby’s Circus Golf is another fantastic, one-of-a-kind Gatlinburg mini golf attraction. With black lights and a fun, original, and awe-inspiring circus theme, you’re guaranteed to have a fun adventure. To top it all off, you can experience the course in 3-D. Unlike other mini golf courses, when you visit Circus Golf, you’ll be provided with 3-D glasses to help make your experience all the more fun and memorable. In addition to the fun holes, animated circus characters, and cutting-edge virtual displays, there’s a fun mirror maze on-site as well. Want to enjoy a slice of Hazzard County right here in the Smoky Mountains and downtown Gatlinburg? If so, head on over to Cooter’s Place and enjoy 18 holes of putt-putt and a trip down memory lane at the one-of-a-kind Hazzard Country Club. Surrounded by “Dukes of Hazzard” memorabilia, including the famous General Lee, you can sip on an iced tea or lemonade while putting away and tackling challenging trick shots on each and every hole. Plus, there’s a Dukes of Hazzard Museum and an indoor air conditioned go-kart track too. After all, nothing says “Dukes of Hazzard” like a little speed and adrenaline. Just keep your airtime to a minimum! Treasure Chest Mini Golf is a fun indoor air conditioned putt-putt attraction that’s a big hit with the kiddos. It features a fun “Indiana Jones” theme with great props and well-designed holes that are far from boring but not too difficult for little ones. 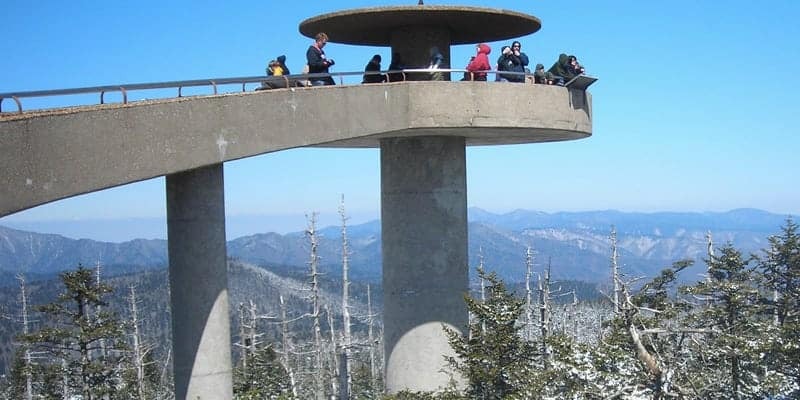 If you’re less interested in tricky holes and over-the-top displays and more interested in scenery and activities, Ober Gatlinburg is a must-visit destination. While the mini golf course is basic and not very challenging, it’s located in a beautiful setting and surrounded by other fun things to do. From the aerial tramway and ski mountain coaster to the alpine slide, water raft rides, scenic chairlift, arcade, and more, fun is in endless supply at Ober Gatlinburg. Come here for the day and everyone will leave tired, hungry, and happy campers. When you stay with us at Old Creek Lodge, you’ll be within short walking or driving distance to all of these terrific Gatlinburg mini golf attractions. Gatlinburg has been a long-time destination for visitors seeking fresh mountain air, breathtaking views, and family fun. Located in the heart of downtown, we’re mere steps away from all of the dining, shopping, and attractions Gatlinburg has to offer!